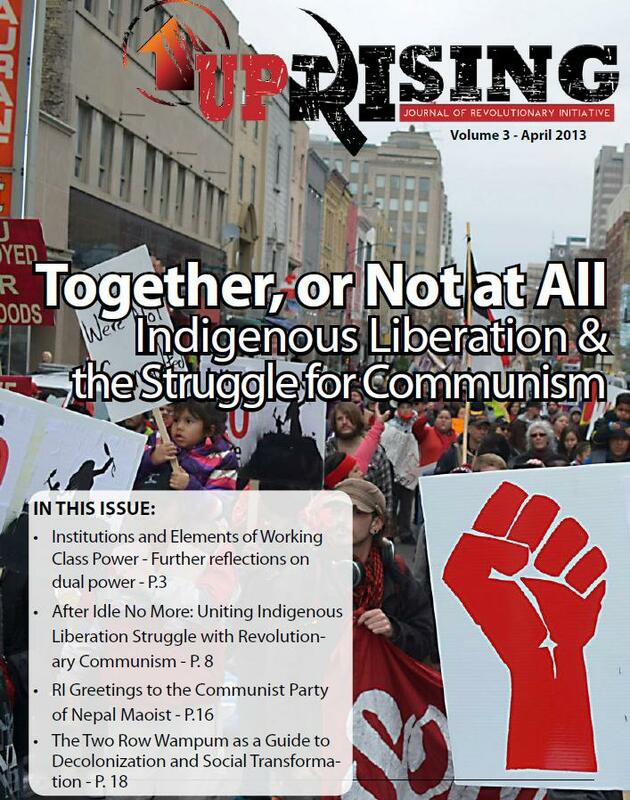 We should not shy away from the truth that communist individuals and communist organizations in North America (whether revisionist, Trotskyist, Maoist, anarchist, etc.) remain irrelevant to the proletariat and to political developments in general. There are many reasons for this irrelevance, but we think that one major reason is an incorrect conception of leadership, which stems from an incorrect conception of power and politics. The purpose of this article is to spell out what we think is a functional conception of power and politics, and to articulate their relationship with leadership. Building and achieving power, we believe, is deeply linked with building up many thousands of communist leaders. But who are communist leaders? We argue that a communist leader is someone who not only knows what needs to be done, but also actually gets a lot of people to do it. To elaborate, communist leadership is the unity of the capacity to develop and interpret a revolutionary line in particular circumstances (the neighbourhood, the workplace, etc. ), and the capacity to unite and move people to act and advance along that line. This capacity can only be produced, steeled and tempered through the practice of mass-line politics, that is, in mass struggle – and not in a room of intellectuals or party specialists. This sounds obvious, but as we are going to show below it is actually pretty alien to the way that communists generally move in North America and certainly in Canada, not least of all ourselves. This article proceeds in six sections. Section one provides us with a functional definition of power and politics. Section two elaborates on the definition of the communist leader noted above, and section three expands that into definition of a cadre. Section four examines the role of ideas and ideology in leadership, arguing that ideas are necessary but not sufficient for communist leadership. Section five addresses the question of inequalities based on identity and privilege within organizations and correct and incorrect methods of rectifying these inequalities. Section six briefly elaborates on the incorrect conceptions of leadership and their political consequences. Our conception of leadership has to begin with our conception of power. Huey P. Newton defines power as “first of all, the ability to define a phenomena, and secondly the ability to make these phenomena act in a desired manner.” Indeed, this definition of power is reminiscent of Karl Marx’s thesis, “The philosophers have only interpreted the world, in various ways; the point, however, is to change it.” Of course, we have to first interpret the world – to come up with always provisional theses about it and about what needs to be done, theses that need to be tested – but what do we require to actually change the world? Social change occurs when many different factors and forces converge, and then certain factors become decisive in pushing the situation in a given direction. World-historical changes have generally required the confluence of war, political crisis and stringent class struggle. In this mix of factors, it is quite evident that mass action, and particularly organized mass action, pushes major social changes. The question is whether or not anyone is guiding or leading that mass action. Communists prepare in the hope that they can be one of the factors, if not the decisive factor, pushing a revolutionary situation in the direction that enables the proletariat to form a new state.1 This requires that the masses, or a sufficiently large part of the masses, must be organized by the leadership of the communists. What matters, then, is the capacity of communist leaders to move people to engage in mass struggle in a common direction. Organization matters because it is the concrete realization of the unity of proletarians – unity past very real differences2 and past the atomizing tendencies of capitalist hegemony – and of their capacity to take collective action against their class enemies. Unity means the understanding that, despite differences, proletarians have interests in common with each other; this is also referred to as class consciousness. Collective action flows from class consciousness, but not automatically: it is entirely possible, indeed, quite normal, for people to be conscious of common interests, without doing anything in common about them. By providing an institutional scaffolding for people to pool their time, risks and chances of success, organization can help move people to action. Our conception of organization therefore must not be a static one, but a dynamic one, because it is a constant process of raising class consciousness and persuading people to take class action. In this process, political leadership is crucial. Doing politics, if it means anything at all, is to be able to unite many different experiences, interpretations and identities, that is, interests, into one bloc with one goal on one program. When even a small group of thoughtful people sit in a room united by an ideology, they can still have many ways of interpreting and executing that ideology. That diversity of interpretations and ideas increases if and when we involve dozens, hundreds, thousands and millions. Political leaders are those people who are able to wade into the mess that is the diversity of people’s experiences, ideas and interpretations, and unify them into common action. This takes the diffuse power of individuals and groups and organizes it into something greater, something that can realize a common objective against a common enemy. Communist leaders are those who move people in all their diversity to unite to take such common action along a communist program. Fred Hampton, the Illinois Chairperson of the Black Panther Party, was an exemplary Communist leader, one who actively and very successfully united the proletarian elements of Chicago across differences of race, gender, space and other affiliations. This is also why he was assassinated by the American bourgeoisie. Getting people to take common action requires politicizing the relationships that exist among real, actually existing people. Power is located in the quantity and quality of relationships that proletarians have with each other. If communists are to make any inroads in building actual mass struggle, then communists must contend with the power and ideas that already exist among proletarians. The “proletariat” or “the masses” do not present themselves to us as a homogenous amorphous blob waiting for the gospel of communism to be dropped upon them. We cannot underestimate the power that already or potentially exists among the proletariat, and assume that we can, by spewing some correct line at people, convince them of our position. People tend to already have relationships with each other, in stronger or weaker ways. People are differentiated, and they often already exist in groups, groups that they participate in for well-being, for friendship, for community. They already look to particular people for guidance and leadership. It is when these groups acquire a political purpose, build with each other for political ends, that they begin to take the shape of organization. Communists have to know how to intervene to take people from existing in groups to existing in organization. Organization must be a very concrete measure of a real, objectively existing number of people, and their real, subjective level of commitment to each other, as expressed in real, objectively existing actions that they take. 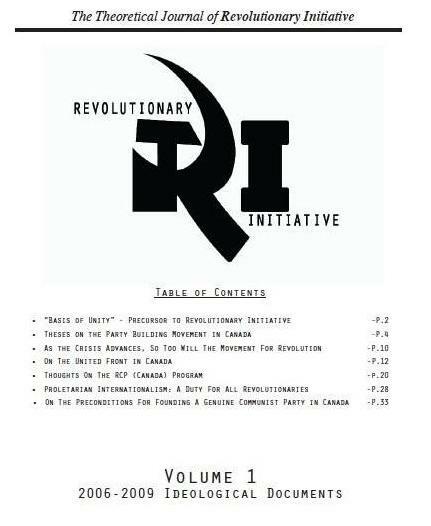 Indeed, the most advanced revolutionary movements tend to know precisely who they are leading, quantitatively and qualitatively. They have concrete quantitative and qualitative benchmarks and goals for recruitment and development. For example, the Communist Party of Philippines, when beginning its organizing in a new place, first identifies the number of people living there, how people are divided up into classes and other social contradictions, who the “natural leaders” are among groups of people, and how they can assure that they build up, over time, to having the majority, if not all, of the people in that spot organized by one formation or another. Social investigation, therefore, is about knowing, precisely, who the people are that we are organizing in any given conjuncture.3 What is the number of people in this neighbourhood or factory? Who are they? What are their class backgrounds and trajectories? What are their existing relationships with each other? Who are their naturally existing influencers, that is, leaders? What are the pressing issues that will bring people together? Social investigation has to be about people, because power is about people. Once, or rather, as we discover these facts, we strive to adopt various tactics to bring people into organization. Communists must win over, persuade, or, at the very least, neutralize (if they are obstacles), the already-existing leaders among proletarians.4 They have to be able to guide these leaders in confronting and overcoming the challenges that come about in implementing a program of class unification and class confrontation. Communists must learn to move people who move people. Let us, then, make a clear distinction between a communist as a person who has communist ideas and a Communist as a leader of people. Anyone can be a self-declared communist, all it takes is having read a few books and then to post screeds online, and these days you don’t even need to post screeds, a barrage of tweets will do. But a Communist is something else. As a friend has noted, there is a distinction between knowledge, which is the collection and selection of ideas, and wisdom, which is the application of ideas and the transmission of that application. Communists must not only know, they must also be wise. Knowledge can come from study of texts, but wisdom can only come from experience—from repeatedly trying to move people, and then moving people who move people. There is simply no other way to learn this wisdom, there is simply no other way to become a leader. Accordingly, Communists must, necessarily, be forged and steeled in mass struggle. We should henceforth be wary of ascribing leadership to people who are not personable, that is, the kind of person who looks past and around actual, real people. Communists must be personable, meaning that they must have a love for actual people, a demonstrated curiosity about people. Communists have to think about people like a capitalist thinks about profits. There is no formula for being personable, some of our best leaders can be cheery and full of energy, while others may be grim and sarcastic. What unites them is their concern for people as actual persons, not as abstract, homogenous masses. If a Communist is someone who leads the persons (mass leaders) who lead people, then what is a cadre? 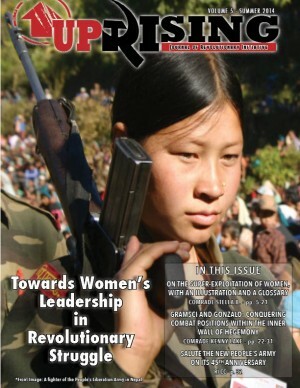 A cadre is someone who can be deployed in new situations to lead the building of mass work and communist organization. Cadres are important because of their role in expanding communist organization, they are necessary if we are to get from dozens to hundreds to thousands. Cadres have to be able to train those under them at a higher ideological, political and organizational level than that required to lead mass leaders at the mass level. Accordingly, a cadre is a leader of Communists, that is, someone who can train and develop mass leaders into becoming Communists. Cadres are how we build outward. In other words, at every level of organization you are expected to be a leader. Cadres lead Communists, and so they lead both within and outside of the communist organization. Rank-and-file Communists lead largely outside of the communist organization, meaning they lead mass leaders. Mass leaders lead their groups. At every level there is an expectation that people will train and develop the leadership of those they are leading. The point, then, is that the practice of cadres leading Communists within the communist organization is not qualitatively distinct from the practice of Communists leading the mass leaders in the mass work. Differences of opinion and interpretation do and will necessarily exist in communist organizations as well, as Communists represent different social bases outside of the communist organization and the class struggle manifests itself inside the communist organization. The differences among members often resolve themselves into two opposing lines, i.e., the two-line struggle.5 It is precisely in this context that just as Communists seek to reconcile and advance the different interests and blocs among the masses, while blocking or countering reactionary ideas, so too must cadre reconcile and advance the different interests and blocs that exist among Communists, and, stop and repudiate some of them. The ideas and interests oriented toward continuation of revolutionary proletarian struggle must be advanced, while those that obfuscate and obscure must be blocked. Cadres must guide Communists in confronting and overcoming the challenges that come about in organizing mass leaders. It follows, then, that cadre themselves are people who have been forged and developed in the mass struggle, and who are able to advance qualitatively and quantitatively to develop and lead Communists. In pointing out the importance of people who unify and move people in the field of actual mass struggle, we do not intend to ignore the role of ideas or other skills in leadership. In the past, we have assumed that people with ideological clarity are obviously leaders, but have found that once given leadership some such people are incapable of actually bringing people together, developing them, and advancing them to common unity. Rather than advancing the organization, this set us back. We continued to think that once someone expressed communist ideas, or something resembling them, then we ought to recruit them into the organization, without asking about their actual demonstration of leadership in terms of building other people. Of course, cadre require proper communist ideas, and a deeper understanding of these ideas. Robust ideological education is necessary, and accordingly having intellectuals on board in educating and developing theory is crucial in the building of communist organization. Our practice shows us that Lenin was very correct in arguing that specifically communist ideas simply do not develop spontaneously from mass struggles for better conditions. The development of communist ideology and analysis in a person requires study and specifically intellectual guidance, this is absolutely necessary. However, ideas themselves also emerge from and get refined through mass work. The practice of persuading people, bringing them together, and pushing them to act collectively is a profoundly ideological process. Engagement with the actual ideas of proletarians and people more broadly gives a Communist a profound, visceral understanding of the communist theory and history that they are studying, and the capacity to question the limits of communist theory and historical practice. It is precisely this dialectic between theory and practice with real people that defines the process of the mass-line (“from the masses, to the masses”) – collecting ideas from the people, reflecting them through theoretical study, and taking them back to the people. The theory does not remain unchanged in this process, such that Communists have the “correct” theory and all what matters is the continuous refinement of the ideas of the masses. No, both change and develop, they have to, or the whole enterprise is pointless. Our practice has to be flexible and creative, and often this means abandoning long-held ideas or modifying them beyond recognition. That principled flexibility can only come from combining training in theory with a curiosity toward challenges, a curiosity best forged in practice. This is why we define communist leadership as the unity of the capacity to develop and interpret a revolutionary line in particular circumstances (the neighbourhood, the workplace, etc. ), and the capacity to unite and move people to act and advance along that line. Communists as leaders also need skills – how to take notes, how to facilitate meetings, how to read and write, and so on. Yet, collecting these skills does not, in and of themselves, make one a leader. Such people can make for administrators, but there is a difference between organizing things and organizing people. It is precisely in the course of mass work and organization-building that Communist leaders and cadre must refine and develop their skills at facilitating meetings or public speaking. That is because a Communist will have to contend with the oratory or cynicism of participants, with their incapacity to stick to time limits and to meander. People will not take a facilitator seriously unless that person has power, meaning exercises actual leadership over them. That is, the Communist learns skills in the context of contending with the power that already exists among proletarians. Similarly, it is important to guard against the feeling that a person who is committed, who shows up to all the meetings, completes all their tasks and demonstrates consistency, is therefore ready to advance in leadership. Too often we confuse organizing things with organizing people. Comrades who are good at doing all the things but not good at moving people are not necessarily ready to move on in leadership. Placing such committed comrades in leadership positions that they are not prepared for results in unnecessary questioning of self-worth when they find that they do not have the organizing experience necessary to provide strategic and political direction. It can be a form of tokenism, about which we will discuss more in the following section. Without any doubt, leading comrades and cadres must also be the most committed and consistent. But where leading comrades find their commitment tapering off, the desire to simply dismiss them must be avoided, and instead we must turn to criticism and self-criticism in order to mitigate their inconsistency and shore up their commitment. We must guard against the belief that being intellectually versatile or having a very good collection of skills or being committed determines leadership. Indeed, one can be a well-read Marxist who is an expert at speakers’ lists and holding people to time limits, but who cannot grasp the political importance of discussions taking place and make the requisite decisions about when and how to allow a meeting to proceed or to cut it short. There is no shortage of intelligent, thoughtful, charismatic speechifiers who, however, cannot organize their way out of a paper bag. There is a difference between executing direction, and giving direction, between receiving strategy, and elaborating strategy. In a moment of confrontation, it is the comrades who give direction and who elaborate strategy who the people at large will turn to. This is because these comrades have been forged in bringing people to a certain point, navigating the difficulties of defeat and the challenges of victory, and interpreting the complexities of a situation and pushing others to move forward. At this point it should be apparent that the goal of the leader is to constantly develop as a leader themselves, and to develop those they are leading into more advanced leaders. At the mass level, we seek those who are influential and respected, the natural leaders, and push them ideologically to politicize their natural leadership into political leadership. 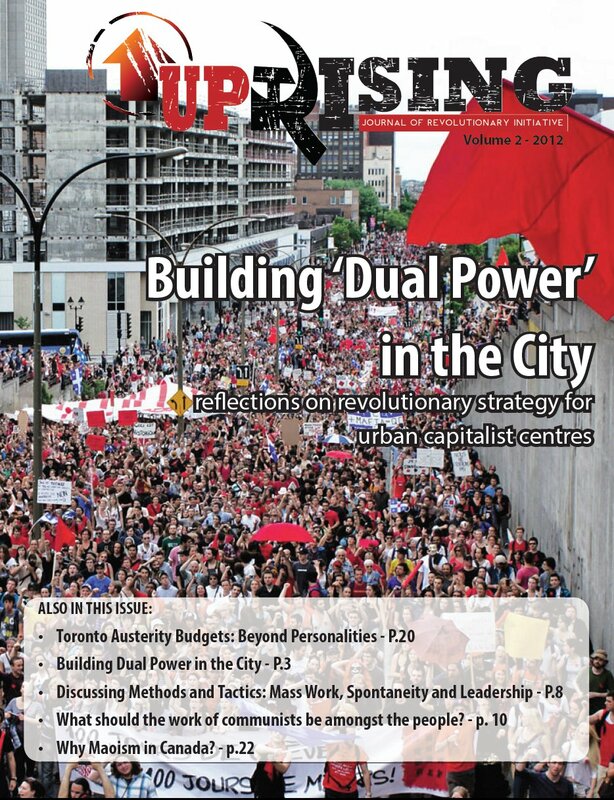 We push mass leaders to develop class consciousness, socialist consciousness, and ultimately communist consciousness. We push Communists to become cadre. At every level, we push people toward action to test their actual pull with people, and to sharpen and develop it. The assumption behind this position is that the experience of oppression automatically translates into having both the best analysis of that oppression and the best capacity for leading. Sometimes this is almost a moral stance, such that the proletarian women of colour must be in leadership positions by virtue of nothing else other than that they are proletarian women of colour. This position of catapulting people into leadership positions generally leads to tokenism. The token women or people of colour then sit on executive bodies, but having neither an actual power base inside or outside the organization, and not having the requisite experience to deal with people who actually have power, and not having the requisite experience to handle the tasks placed at their table, they are actually powerless. Nor do they actually end up learning how to carry forth these tasks. No one simply learns as they go. This tokenism naturally leads to frustration and questioning of self-worth, paradoxically combined with a lack of humility about actual shortcomings and areas for improvement and advancement. Tokenism is damaging. The point is not that those with less experience in organizing do not have something to teach those who have more experience, the question is how and under what circumstances that knowledge is transferred. Presuming false equivalency between two differently skilled and experienced people may lead to knowledge transfer in some cases, but more often than not it becomes an obstacle to those who ought to be leading to be able to push and develop those who ought to be led. In order for people to actually be in leadership positions, they have to be ready and prepared for them. They have to demonstrate their leadership among the masses and through their capacity to develop the mass struggle. In other words, we are talking about evidence-based leadership. This is leadership based on practice in the field, and not the practice of articulating the best ideas or the correct buzzwords around privilege and anti-oppression. It is absolutely true that unequal access to education, to more disposable time and disposable income, to public interaction, to feelings of self-worth and authority – all of which are determined in complex ways by class position, race, gender, etc. – can sometimes facilitate unequal leadership development. But the whole point of communist organization is to smash these inequalities through struggle and through the practice of organizing, not by pretending that these inequalities do not exist or that they can be wished away through token appointments. If we actually want to change the world, if we actually want the people to be self-organized and to lead the revolution, then that means it is precisely the most oppressed and exploited who are going to have to struggle against all the limitations that face them to become the sharpest of leaders. They have to be subjected to very high standards. There is no model of liberation where white petty bourgeois men go around executing tasks for their allies, that’s just charity and liberal guilt. If two-thirds of a neighbourhood’s population is composed of women, yet the organizing effort is not reflective of that proportion, then that points to the severe shortcomings of the people leading that effort. Tokenizing women, not pushing them, not challenging them, these negatives won’t help one bit. If we do evidence-based leadership correctly, then we will have to contend with and succeed in actually organizing women, who already tend to be the natural leaders of relatively well-formed networks, and developing their leadership even further. Those people who actually do lead have the greatest responsibility to develop and push those they are leading to be ready to take on leadership positions. Sometimes, this means that it is, indeed, men who are leading women, those from petty bourgeois backgrounds leading those from proletarian backgrounds. But it also means that if the current leadership is not fulfilling its obligation of developing and advancing the leadership of those they are directly responsible for, then they are failing at leading, and ought to be severely criticized and their behaviour rectified, or that they be appointed to a leadership position commensurate with their actual capacity to lead and develop those they are supposed to be leading. We should note that the incorrect conceptions of leadership emerge from the general isolation of communists in North America from the actual masses. With the defeat of most communist movements in the 1970s and 80s, Marxist ideas became the almost exclusive preserve of intellectuals operating out of campuses. 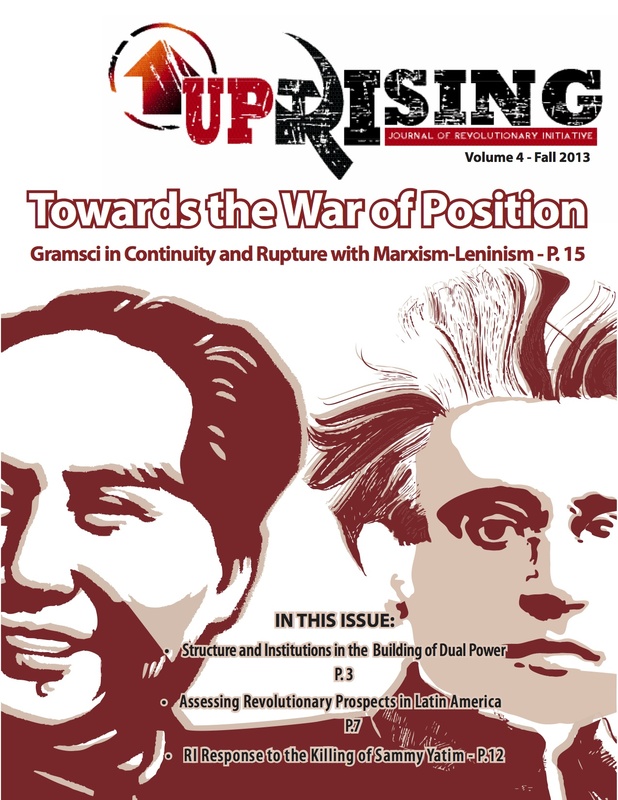 While the original articulations of identity politics put forward a radical critique internal to socialist politics, their take-up during the decline of worldwide communist movements meant that they were absorbed into academia. Indeed, they were absorbed into supposedly radical ideologies like post-modernism, which took up the question of privilege and put forward a politics of anti-oppression, but abandoned class analysis and struggle. It is no surprise that dominant ideas of leadership thus reflect that (1) ideas determine leadership, (2) experience of oppression determines leadership, or (3) being on the front lines of taking up work (or just being at the front lines in rallies) determines leadership. The problem with these approaches is that they shift the locus of power away from the people to all the wrong things. How they do this is important to understand for their political consequences. To think that power comes from having the correct ideas is the mistake of idealism, contrary to the material bias of reality where power is located in the real activity of people, and whereby history is made not by individuals but by the masses and the masses alone. The idealistic approach seeks to put forward the “correct line,” see who comes toward it, and then declare these individuals as the leaders of the proletariat. As Amilcar Cabral pointed out, “the people are not fighting for ideas, for the things in anyone’s head.” To think that random people who have good ideas (more socialist, more anti-capitalist, more anti-imperialist) are the real material leaders is just wrong practice. The tokenistic approach to identity politics locates power in the moral claims of victimhood. That is, it locates power in appealing to the good sense of the oppressors. Fundamentally, this means that tokenism does not seek to build an independent and autonomous source of power, but to become included in existing channels of power. Thus, contemporary identity politics seeks to “diversify” executives, whether they are in small activist groups or in large corporations or universities, but thereby conflates a strategy of individual upward mobility with a strategy for broader societal transformation – by diversifying executives, it goes, we will be better able to focus on the issues of women or people of colour. This tokenism ignores that power is ultimately located in the capacity to persuade and push other people. Even if we catapult individuals into executive positions, the real power will always be exercised by people who are able to garner and develop followers. There are no shortcuts to power, no shortcuts to leadership. The approach that privileges the most committed and most militant as the leaders locates power in the organizing of things rather than in the organizing of people. Hence, those who complete tasks, organize and participate in rallies, seminars, and other such venues, are considered to be leaders. Commitment and militancy may indeed be necessary but they are not sufficient: it is possible to organize things and events without actually pushing others to become leaders. Here, then, we make the mistake of substitutionism, where the actions and understandings of a few individuals substitute for those of the many. Accordingly, such a view of leadership ignores that the power of the enemy is located fundamentally in its control over the people, not over things, meetings, events and media moments. Insofar as these approaches circumvent the difficult struggle of the patient and long-term work needed to build real proletarian power, i.e., proletarian leaders, these approaches are opportunistic. They ignore that the purpose of leadership is to build more and more leaders, in the thousands, not small cliques of self-aware true believers. They seek shortcuts to elevate individuals or small groups, if that, into apparent positions of leadership, rather than seeking to elevate the class. In this respect, they conform to predominant liberal individualism rather than challenging the dominant ideology and politics in any real and oppositional way. We find that then that these mistaken approaches lead to bad, indeed, bourgeois politics. Idealism lends itself to privileging state-funded academics as leaders, even if they have no base in the proletariat, speaking mainly to other petty bourgeois intellectuals or to students. Tokenism lends itself to appealing to the state and existing institutions for more positions for “marginalized” groups. Substitutionism similarly lends itself to making appeals to the state, rather than organizing the proletariat. These three approaches actually go very well together, and make of the contemporary left in North America isolated, moral critics who are appellants to the liberal state, not contenders for power. If we are to rectify the problem of communist irrelevance to the proletariat, we not only have to orient our activities toward where the majority of the proletariat is at, we also have to adopt the correct methods of leadership. The process of building power has to be understood as one of scaling up. There is already actually existing power among proletarians, insofar as there are people who are understood as leaders, as influencers, as people who can define phenomena and make others take action in a desired action. This leader could be, for example, the matriarch of a group of families who persuades all of them to sign a petition. Communist leaders seek to identify and aggregate this power. Political leadership is about uniting the many different interests and groups that already exist among proletarians into one bloc with one goal on one program. The greater the number of people organized through a common program, the greater the power of the proletariat. Communists thus have to find the already existing leaders among the proletariat, and unite them in a program of class unification and class confrontation. Communists, thus, must have their leadership forged through seeking to persuade people, facing their enthusiasm and their skepticism, their activity and their inertia, their brightness and their ignorance. If a communist does not have a love and curiosity for people, they will not be leaders. Indeed, based on their very different contexts, Communists must be able to develop and interpret a revolutionary line, and be able to unite and move people to act and advance along that line. Communist cadre are those who can be deployed in new situations to lead the building of mass work and communist organization. Cadre are crucial for expansion, and must be able to provide an even higher level of ideological, political and organization training than that required of Communists in leading mass leaders. That is, cadre are those who are best suited to develop and recruit people into being Communists, those who are best able to provide guidance and leadership to Communists. Just as Communists seek to reconcile and advance the different interests and blocs among the masses, while blocking or countering reactionary ideas, so too must cadre reconcile and advance the different interests and blocs that exist among Communists, and, stop and repudiate some of them. There should be no confusion or misunderstanding about our approach. We are not talking about bypassing the most oppressed or exploited people in developing communist leadership, but quite the contrary. We are talking about identifying those who have influence as social leaders, and challenging them to take action and become political leaders. We are not talking about ignoring the role of communist ideas and ideological training, but rather about ensuring that communist ideas develop and evolve in the context of mass struggle. We are not talking about ignoring commitment and dedication to tasks, but about grounding such qualities in actual leadership of people. Developing these leadership skills is not an easy process, but is an intrinsic part of class struggle – that part that forces us to reshape our own ideas and behaviours even as we begin to engage the class enemy – and there are simply no shortcuts. It is not particularly difficult to spew communist ideas in the general direction of proletarians on the street corner (although, to be fair, few communists or radicals actually do this), it is quite another thing to struggle alongside and with those proletarians to find their leaders and to politicize them and develop them to mass leaders and ultimately to become Communists and cadre. Such politicization is the task of communists everywhere, and is what is most sorely lacking among communists in North America. 1 But, as the history of successful revolutions shows, the proletariat forming a new state does not make the other factors and forces go away, factors and forces that require the sustained and ongoing struggle. For example, the former ruling classes do not disappear, the threat of imperialism remains, and the compulsions of everyday life, like marriage, educating children, going to work, etc. continue to characterize the social realities of the new society. 2 For example, the very real differences of economic stratification within the class, which are tied into differences of race, gender, sexual orientation, nationality, and so on. 3 Social investigation is not merely about coming up with en elaborated and “correct” analysis of some phenomenon by tacking empirical details into a theoretical framework. That can be done by undergraduates for term papers, while graduate students can come up with new theoretical frameworks. Communist revolutionaries are supposed to do all that, and to move people. 4 If we do not intervene here and in this way, then we leave the most important terrain of class struggle to the class enemy. People exist in the groups in the ways they do because of the class situation they are in, which is a situation produced by the various social relations they encounter (for example, income, rent, transit fares, family ties, etc. combine to determine where people end up living and who they end up interacting with or not at all), and these social relations are themselves a product of a capitalist society under bourgeois hegemony. Through landlords, NGOs and other agencies capitalists seek to intervene in these life-spaces of the proletariat. Existing leaders can get scooped up in these agencies and processes, and get churned into opportunists or burnt out shells who lose real and organic connections with the people around them. Or, alternatively, energetic people with no real base become propelled by agencies and processes into being “leaders” who are propped up because they are funded from above, without real purchase with the people from below. 6 The “genius” approach to leadership ignores that Karl Marx was not a very good political leader, that Josef Stalin defeated Leon Trotsky because he was at the end of the day a better political leader, and that Antonio Gramsci turned his greater focus to intellectual pursuits mainly because he could not organize the proletariat out of his prison cell. Angela Davis has been an interesting intellectual but it was people like Elaine Brown who, whatever their flaws, actually led. 7 For a deeper elaboration of this experience of tokenizing women’s leadership, see the section “The Momentary Reign of Identity Politics” in our 10-Year Assessment document, Rectify and Reboot.